The members of CPA understand all too well how it feels to come to a meeting for the first time. For some of us CPA was a last resort, often feeling isolated, desperate, and scared. CPA has many different kinds of meetings. In person or from the comfort of your home, you will meet others who share the common bond of living with chronic pain and chronic illness. Sharing our experience, strength, and hope we recover from the debilitating effects of our chronic pain and illness. Copyright © 2015 Chronic Pain Anonymous Service Board, Inc. A 501(c)(3) non-profit corporation. All Rights Reserved. 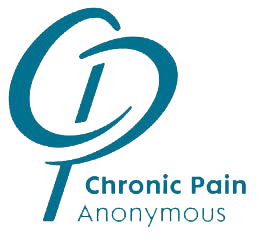 This is the official website of Chronic Pain Anonymous.